required to view this site. Please click the link below to download the latest version. 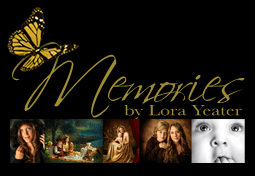 ©2008 Memories By Lora Yeater. All Rights Reserved. Site Design By Aslan Studios, Inc. This site requires the Adobe Flash™ Player. v. 9 or greater.